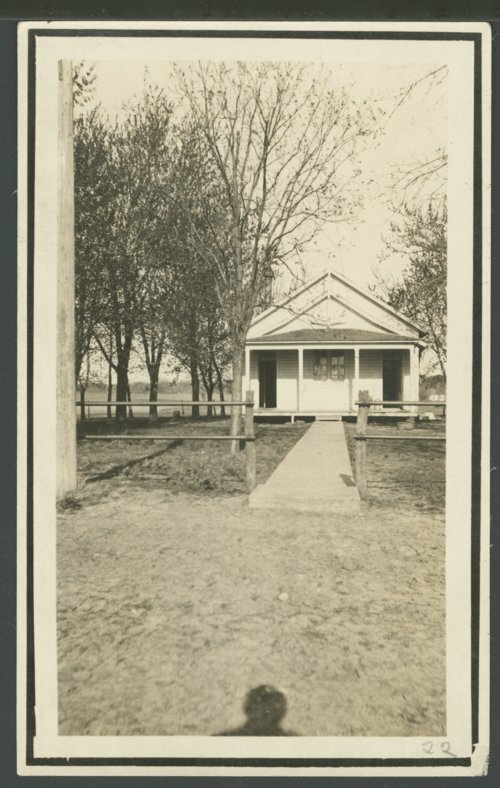 This is a photograph of the Maple Grove school in Allen County, Kansas. Frederick Funston attended and later taught at this school. It is a one story frame structure.